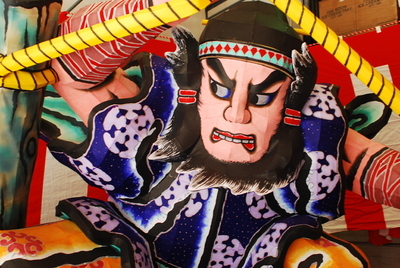 The Nisei Week Grand Parade which include the Kodomo Nebuta and the Nagoya Feudal Japan Processional will be this Sunday August 16th. The Nebuta float portion of the parade will begin at about 7pm. To find out more about the Nebuta check out the story posted awhile back here there are photos of this years Nebuta as well as a video of the Haneto dancers. The Grand Parade is one of the highlights of the Nisei Week festival, be sure to come out to experience it.